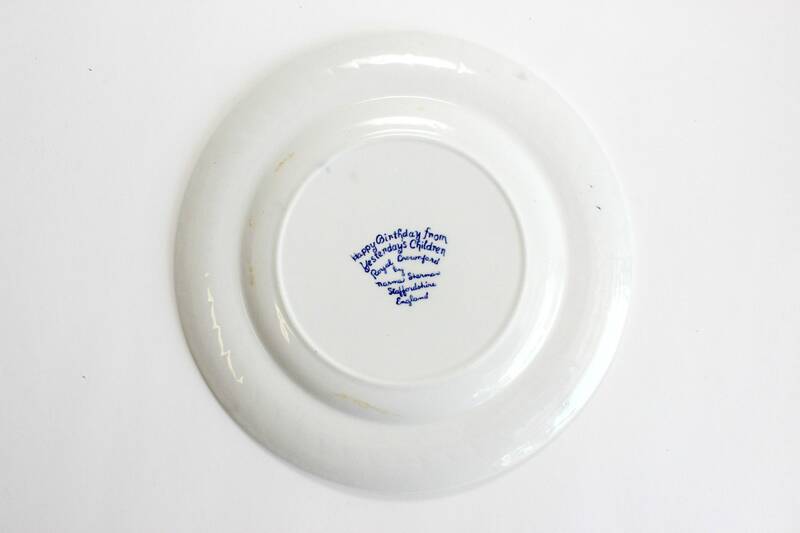 Blue & white decorative plate. 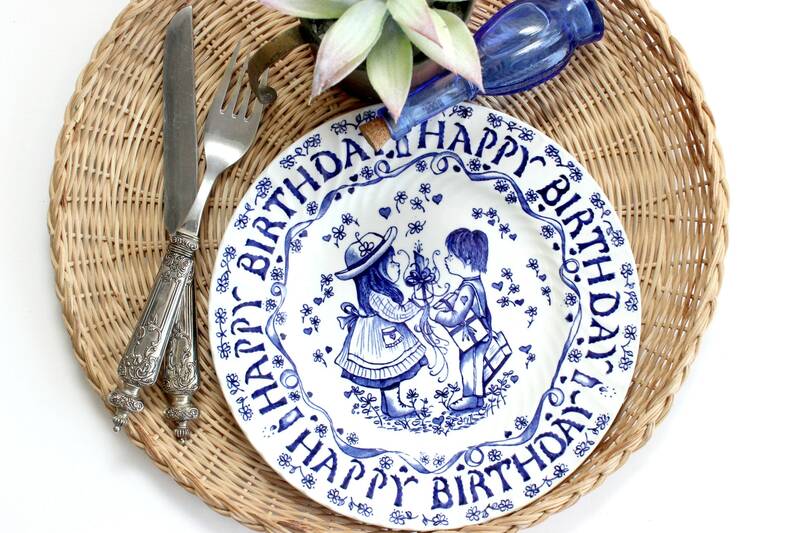 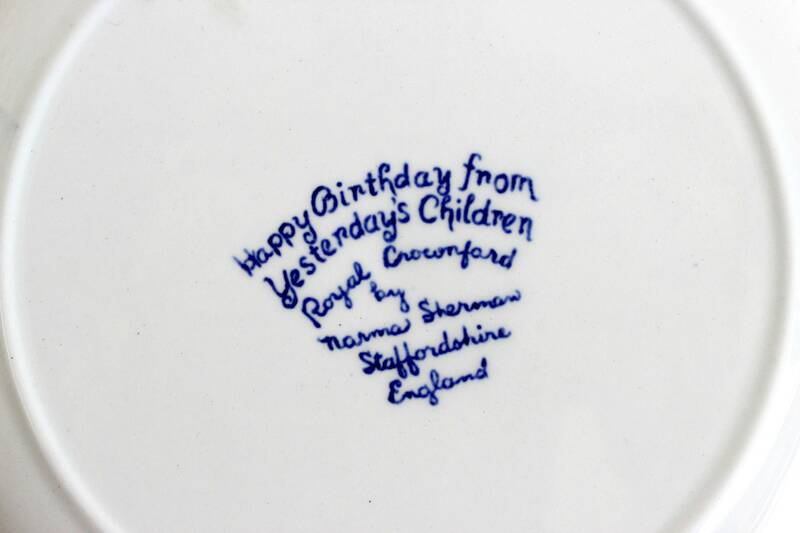 Hand painted collectors plate tiled and stamped on the back, "Happy Birthday from Yesterday's Children Royal Crownford by Marma Sterman, Staffordshire England." 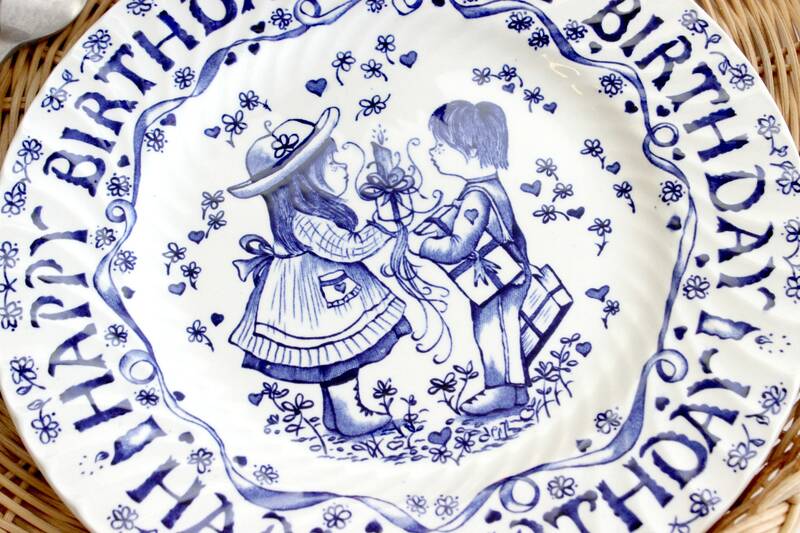 Adorable plate with a picture of a little girl and boy holding gifts and a cake. 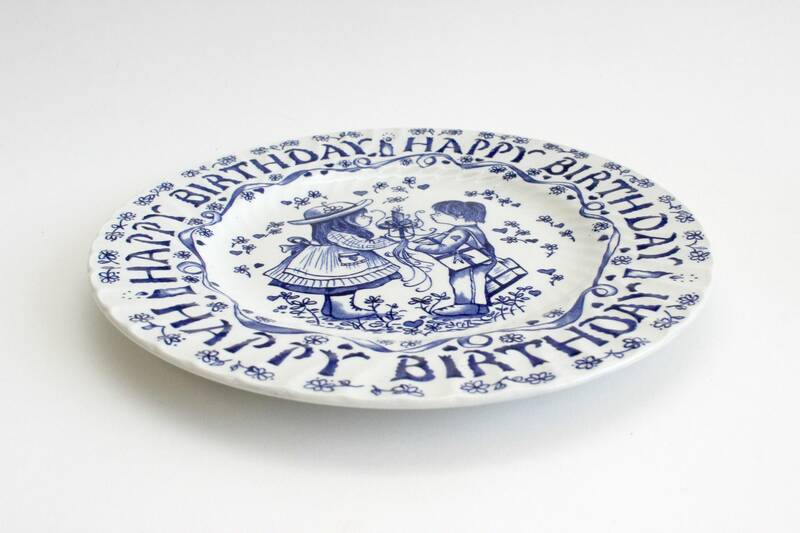 HAPPY BIRTHDAY is written around the sides.